Our latest round-up from across Europe – courtesy of TISPOL – includes news of a reduced speed limit on rural roads in Spain. The new 90km/h limit (56mph), which came into effect on 29 January, replaces the previous 100km/h limit. It has been introduced on the back of figures which show that in the past five years, rural roads have been the location for up to 80% of fatal road collisions. The Spanish government hopes the move will help lower the number of deaths per million miles travelled – which stood at 39 in 2017. Elsewhere, the latest edition of the TISPOL fortnightly news bulletin also features news from Bulgaria – where the government has set up a new state agency for road safety. The agency will ‘develop, co-ordinate and monitor’ the implementation of road safety policy in Bulgaria – which is currently shared among various institutions. Its responsibilities will include carrying out research, conducting educational campaigns and consulting with civil society, business, academia and academics. Finally in Ireland, politicians are being accused of risking people’s lives by obstructing road safety legislation. Liz O’Donnell, chairwoman of the Road Safety Authority, criticised politicians for ignoring the research on road safety. Citing the recent introduction of an automatic driving ban for drivers over the drink-drive limit, Ms O’Donnell said no road safety legislation had ever faced such strong opposition as this did, from some politicians. Figures show that 16 people lost their lives on Irish roads in January – compared to 12 in the corresponding month in 2018. Many roads in this country are 50 mph roads and they do suffer rear end crashes called shunts. But shunts doesn’t sometimes express or describe the severity of some collisions. There have been deaths as a result of shunts. In particular those collisions concerning Heavy vehicles which can end up with multiple casualties and some fatalities. As said, often with lower speed there ends up being less safe space afforded by drivers. In the event of an emergency stop or collision there then becomes the domino effect involving vehicle after vehicle and this is where the problem lies, The problem is the distance between all vehicles and other objects, obstructions or potential dangers. The golden rule of all safe motoring is being forgotten or misinterpreted. It is to be able to stop in the distance that one can see to be clear and on the same side of the road. Some mistakenly believe or have been instructed that this to be the Thinking Distance only and its not. 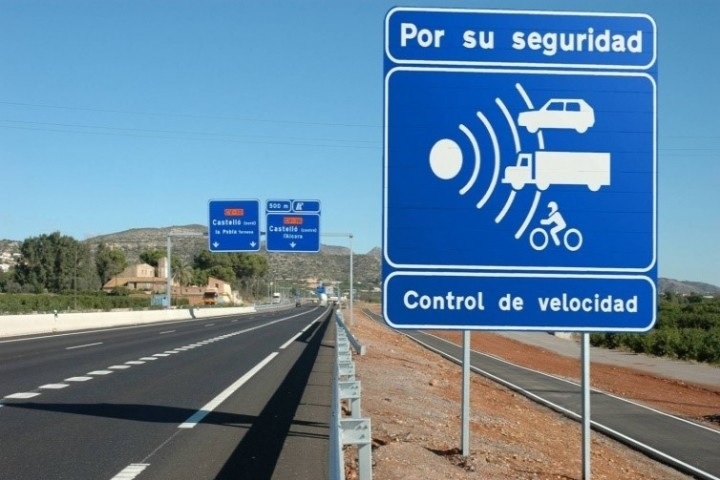 It will be interesting to see if the new lower speed limit in Spain causes cars to cluster closer together, much like tailgating in our slower roadworks sections. Perhaps less fatalities but more slights and damage only collisions instead? I await with bated breath to find out if any reductions will take place. Just because the maximum speed of the road has been reduced by some 6 mph approx it doesn’t mean that incidents, collisions and casualty figures will reduce at all. By all accounts if one reduces the speed then by each 1 mph reduction we should see a decrease in casualties etc of some 30%. That will not happen. About the speed limit reduction on Spain’s rural roads. Many incidents occur where unnecessary and inappropriate speeds are used and some of those would be well below the maximum speed allowed. Further there will be those that would totally disregard the new or old speed limit anyway and they will be reluctant to adhere to the new one but continue their unlawful and perhaps more dangerous ways. Its of no value if a speed limit is lowered to say 50 mph if idiots will continue driving or riding round some bends at the same high speeds say 40 mph when the bend will only safely accommodate something like 25/30 mph..